We began our work in Saraswatipur in April 2013. Really we had little idea where the project would lead. The children of Saraswatipur are inspiring and we have been led by them on the most incredible journey. Though there are many challenges in living in Saraswatipur - from elephant incursions to poor sanitation the children have been very clear about where they would like us to support them. And that is in improving their educational chances, which is why we support tuitions for older children and are in the throes of building a small youth centre where the children can study safely. 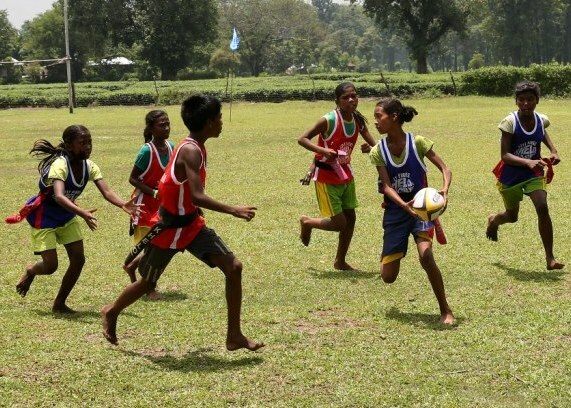 The girls of Saraswatipur have thrived and already in the short time they have been playing rugby gone on to play for India - in the Paris World Games, Olympic qualifiers in Dubai and Asian 7s in Hong Kong.